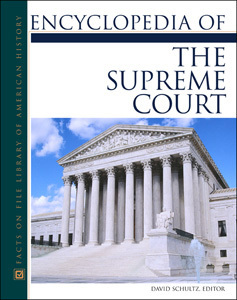 From the structure of the Supreme Court to its proceedings, this comprehensive encyclopedia presents the cornerstone of the American justice system. More than 500 A-to-Z entrieswritten by leading academics and lawyersoffer a thorough review of critical cases, issues, biographies, and topics important to understanding the Supreme Court. Helpful charts display how a case makes it to the Supreme Court, and tips on how to research and look up court cases enhance this authoritative, accessible reference.